MELBOURNE (Sporting Alert) — Top seeds Serena Williams and Novak Djokovic were among the seeded players who booked places in the second round on day 2 of the 2014 Australian Open in Melbourne. Defending Champion and World No. 2 and Novak Djokovic of Serbia advanced from the fourth round in the men’s singles at the Australian Open on Sunday. MELBOURNE (Sporting Alert) — The following is order of play schedule for Day 7 at the 2014 Australian Open Tennis tournament on Sunday, Jan 19. 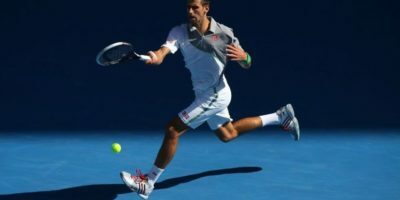 MELBOURNE (Sporting Alert) — Results and scores from the first round of the 2014 Australian Open Tennis tournament – Men’s singles matches on Tuesday. The following are the results from the men’s first round at 2014 Australian Open Tennis tournament in Melbourne on Monday. MELBOURNE (Sporting Alert) — A thrilling encounter is on the card when defending champion Novak Djokovic meets Andy Murray in the 2013 Australian Open final.